The University works with a number of businesses and organisations to help give our students the best possible experience, and prepare them for the workplace. AFC Telford United is a football club based in Telford, Shropshire, England. The story of Telford United began in late 1872. The club's first competitive honour was gained in 1881, when the Town won the Shropshire Senior Cup. Currently members of the National League North, the sixth tier of English football, they play home matches at the New Bucks Head in Wellington, part of the new town of Telford. Ansaldo Energia is a leading international player in the power generation industry, to which it brings an integrated model embracing turnkey power plants construction, power equipment (gas and steam turbines, generators and microturbines), manufacturing and services and nuclear activities. In the UK, their head office is in Wolverhampton, making it a perfect choice for our students. They are on-campus regularly promoting their graduate scheme in buying and engineering to our students. For more information, contact The Workplace team. British Red Cross helps people in crisis and is part of a global voluntary network, responding to conflicts, natural disasters and individual emergencies. They help vulnerable people in the UK and abroad prepare for, withstand and recover from emergencies in their own communities. They offer a range of volunteering opportunities for students and graduates to do something positive for their community. Students can volunteer in their charity shops, help fundraise for a cause or train to offer support for emergency and first aid. Opportunities are regularly promoted through Volunteer Central at the University. Cancer Research UK (CRUK) is a cancer research and awareness charity in the UK. They fund scientists, doctors and nurses to help beat cancer sooner in addition to providing cancer information to the public. In addition to offering a range of volunteering opportunities including fundraising for the cause of ‘Beating Cancer Sooner’ and supporting their local charity shops, CRUK offers a graduate trainee scheme in various disciplines. More information on these opportunities is available through The Workplace. With more than 190,000 people, Capgemini is present in over 40 countries creating and delivering business and technology solutions that enable their clients to transform their organisation and improve performance. As a leader in consulting, technology and outsourcing services, the Group reported 2016 global revenues of EUR 12.5 billion. Capgemini offers a graduate programme in technology and business and also in management consulting. Capgemini regularly attend events on-campus and promote their opportunities through JobsBoard. Carillion is a leading international integrated support services business. They employ around 48,500 people and operate in the UK, Canada and Middle East with an annual turnover of more than £5bn. Amongst the various projects the group has delivered recently are the construction of the iconic five star hotel, the Yas Viceroy, in Abu Dhabi and construction of Terminal 5c at Heathrow Airport. In March 2015, the University of Wolverhampton and Carillion signed a MOU agreeing to collaborate in a number of key areas. This includes providing opportunities for our students to undertake internships, work and industrial placements and working together on potential consultancy and continuous professional development activities. Beyond this unique partnership, Carillion also offers a Graduate Scheme which is promoted through The Workplace. Carvers are the West Midlands' largest single site builders merchants and stock over 20,000 lines of building, plumbing, ironmongery and timber products. In addition, we have a range cooker and kitchen centre showroom and offer a design and fit service for kitchens and bathrooms. CIPD is the professional body for experts in people at work. With hubs in the UK, Ireland, Middle East and Asia, they have more than 140,000 members around the world. CIPD is the only body in the world that can award Chartered status to individual HR and L&D professionals. CIMA offer a range of study options to graduates that help them in boosting their degree with a professional qualification. CIMA are on-campus promoting their opportunities to students and graduates at various events. The Colas Group is the world leader in road construction. The railway division is one of the world's leading providers of rail infrastructure services. In the UK, Colas Rail combines the engineering skills of all our specialist businesses to provide total solutions in all aspects of railway infrastructure, from high speed rail systems to light and urban rail. Colas is currently recruiting high calibre graduates to join its Graduate Programmes. Joining Colas Rail is a real opportunity to establish yourself within one of the UK’s most heavily invested sectors, with a company that is going places. Colas Rail is one of the world’s leading providers of rail infrastructure services. The brand is well-established, with a great reputation within the rail industry, and the business is growing at an impressive rate. Enterprise Rent-a-Car is an ongoing success story. Their guiding principles, and humble beginning, revolve around personal honesty and integrity. They believe in strengthening their communities one at a time, serving their customers as if they were their family and rewarding hard work. These things are as true today as they were when Enterprise were founded in 1957. With a graduate programme as outstanding as Enterprise Rent-a-Car's, it's easy to start getting ahead of yourself. If you’ve big plans for the future, it's the perfect place to begin making them come together. After all, they’ve big plans for your future too – plans that include teaching you everything you need to know about running your own section of our business in as little as two years. Fortress Interlocks' simple mission is to help businesses protect their human and capital assets. They do this by designing and manufacturing safety interlock systems for industrial applications. These range from power generation, steel making and automotive manufacturing to food and beverage processing, materials recycling and construction. Fortress Interlocks are looking for engineering, science and technical graduates with the potential to become future leaders of our companies, or next generation specialists driving our technology. As a global healthcare company, GSK take on some of the world’s biggest healthcare challenges. By delivering a sustainable business, they provide health benefits to patients and consumers, as well as supporting wider society. Students and graduates can join GSK in a variety of exciting roles across several business functions. The University of Wolverhampton has had students on industrial placements with the organisation in various roles and we continue to work closely with them. Born out of the ashes of Hereford United, Hereford FC were placed in the Midland Football League for the 2015/16 season after the former club folded in December 2014. The Bulls (the team's nickname) have already started writing their own history by setting a string of Midland Football League attendance records, starting with their first game, and breaking ground attendance records at several away grounds as they took the Midland Football League double along with the Herefordshire FA County Challenge Cup in their first season. ICAEW is a world-leading professional membership organisation that promotes, develops and supports more than 147,000 members worldwide. It provides members with knowledge and guidance, and ensures ICAEW Chartered Accountants are meeting the highest ethical and technical standards. As financial experts, they act in the public interest offering insights into business and the economy that help to shape government policy and regulation. 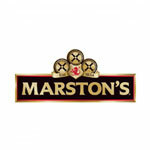 Marston’s Plc have been running pubs and brewing beer in one form or another for over 180 years. Now they’ve got 13,000 people working for them and many more in partnership with them. Their people; from brewery teams, to the distribution fleet, to every single team member in their pubs, have helped them to become a thriving FTSE 250 listed company. When disaster strikes, Oxfam’s priority is to start saving lives, then to help people come back stronger. They make sure people can get clean water to drink and decent sanitation. They provide help for people to get food and the essentials they need to survive and ensure the most vulnerable are kept safe from harm. Oxfam support them in being better prepared to cope with shocks and uncertainties and help to rebuild communities to come back stronger from disaster and to face the future on their own terms. If you’re looking for a new challenge or a change of career, spending a few months at Oxfam is a great way to hone your skills. They offer various placements at Oxfam house and at their regional offices, in areas as diverse as HR, marketing, IT, accounting and digital media, giving you the chance to work on specific projects. Oxfam advertise their roles through Volunteer Central regularly. As the sole provider of the Universal Service in the UK, Royal Mail Group delivers a six-days-a-week, one-price-goes-anywhere postal service to more than 29 million addresses across the UK. 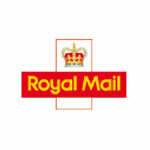 Royal Mail is the UK’s designated Universal Postal Service Provider, supporting customers, businesses and communities around the country. For graduates who want to keep the mail moving, there’s the Royal Mail’s operations management programmer. You’ll learn on the job in one of their mail centres or delivery offices nationwide and lead a team of between 15 and 100 people from day one. The Royal Mail advertise regularly on the Jobsboard. 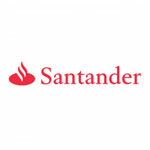 Santander UK is a leading financial services provider that offers a wide range of personal and commercial financial products and services in the UK. The bank serves around 14 million active customers through their branch network and regional Corporate Business Centres. They offer retail, commercial and global corporate banking. Opportunities: Santander UK’s graduates schemes provide everything you’ll need to realise your future by contributing to cutting-edge live projects designed to make banking simple, personal and fair. The advertise regularly on the Jobsboard and offer on-the-job training from their most passionate colleagues in the business. Virgin Trains are on a mission to make every second you spend with them awesome. If you’re travelling for work, they’re the business. Want a weekend away with family or friends? They’ll take you and the gang to some of the UK’s most iconic destinations, and they’ll take you there in style. 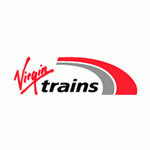 At Virgin Trains they put lots of effort into finding the right people and regularly advertise through JobsBoard. They look for brilliant people who can deliver the service their customers have come to expect; people with a passion for going the extra mile and for getting things right. Walsall Football Club is a professional association football club based in the town of Walsall, West Midlands, England. The team play in League One, the third tier in the English football league system. West Bromwich Albion Football club (also known as West Brom, The Baggies, The Throstles, Albion or simply WBA!) is an English professional football club based in West Bromwich in the West Midlands. Wolverhampton Wanderers Football Club is a professional association football club based in the city of Wolverhampton, West Midlands. The club was founded in 1877 and has played at Molineux since 1889.